Check out the offers of popular UK retailers and see which Flip Flops deals are the most affordable and reasonable. Save as much as 50% when you buy from Amazon, Studio, eBay, and other UK sellers. Here at Latest Deals, we have gathered the best cheap Flip Flops offers, deals, and voucher codes. 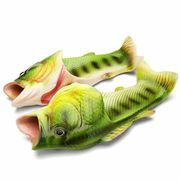 With great choices of Flip Flops available, you are sure to find exactly what you are looking for. Our team of awesome bargain hunters has selected the best and latest Flip Flops special offers and deals from the most trusted brands. Blue Banana. Get Flip Flops for £4.99 with Any Back Pack. 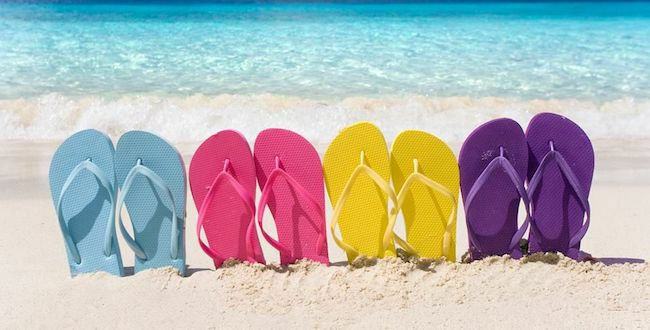 Find the best flip flops sale on top brands in the UK! Flip flops are sometimes referred to as slippers. They are a simple kind of footwear that bands the big toe and other toes. Today, it is common to see them worn everywhere. Flip flops were first worn by people across various cultures. It originated in the ancient Egyptians in 1,500 B.C. The modern flip-flop was traced on the Japanese zori that became popular when World War ll was over. It was only in 1960 when the term became existent in the American and British English. Thus, it was a description for a thong or no-heel strap sandal. Hence, it was derived from the sound the slippers make when walking in them. When it comes to casual comfort wear, flip flops are always a part of our ensemble. Most of them are made of a flat sole loosely held on the foot through a Y-shaped strap called a toe thong. It passes in the first and second toes on both sides of the foot. Simple designs are common among flip flops. They can just have a thin rubber sole with two straps in a Y shape. Do not get this wrong because they are no longer limited to these. These days, there are other designs you can find in the market. Get designer flip flops with additional savings at BrandAlley with the help of Latest Deals! Get cheap flip flops with the help of Latest Deals. From flip flops womens to mens flip flops, we’ve got your feet and budget covered. 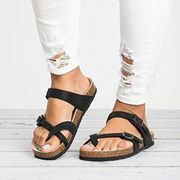 Make use of flip flops UK voucher codes to get added savings on Primark flip flops selections, trendy Adidas flip flops, and on other top brands and retailers in the UK. Our massive community of bargain hunters is always on the lookout to find the best possible flip flop deals, discounts and special offers online. We also have a team of money-saving experts who regularly share essential buying tips and tricks that can help you get some serious money off on your online and instore purchases. Majority of the UK retailers have sale events, seasonal clearance, and flash sales where you can save as much as 75% on a wide selection of flip flops. Furthermore, they also reduce their prices further during Black Friday and Boxing Day. But if you want to maximise your savings, make sure to use the latest flip flop discount codes you can get here. There are also promotional offers where you can get freebies and free shipping. Where and where to wear. Knowing when to wear flip flops depends upon where you are. Beach. Walking on the beach is best done wearing a pair of flip flops. Once in a while, you must give your feet the room to breathe and to protect them from hot sand. House. Yes, you can wear flip flops around your house. If you have to go quickly outside, that should not be a problem as well. Prior to buying, you must know your size. While you probably have a standard shoe size in mind already, it can change in some cases. Go for supportive insoles. They are the answer to optimum comfort. Most buyers prefer cushioned flip flops because spongy sole is cozy. You can think about going for a little heel. This is effective since your feet are not really flatted on the ground. Stay away from flip flops that slide your feet. You don’t want yours pushed on the front too. When this happens to you, it means that yours is not fitted properly. If you are not yet sure with the materials you like, the safest has always been leather. It would stop you from getting blisters. Moreover, it is also a more durable fabric. Comfort At the end of the day, comfort is really necessary on flip flops. When it is, your posture stays. It is also simpler to move around. It is not only about style and appearance after all. Your feet will determine the future of your sandals. Even ligaments, muscles and tendons affect your feet. Hence, without them, complex movements for balance and motion do not occur. To get a pair of flip flops is advantageous no matter what the season is. Wear them for summer, daily or any kinds of holidays - you will still be not disappointed.